A Fashion, Beauty, Travel & Fitness Blogger based in Miami, Florida. 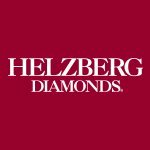 Recent Brand Partnerships: Samsung Mobile & Helzberg Diamonds, Hard Rock Cafe, Express. Demographic data for @anaflorentyna's audience is available for free to influence.co users.